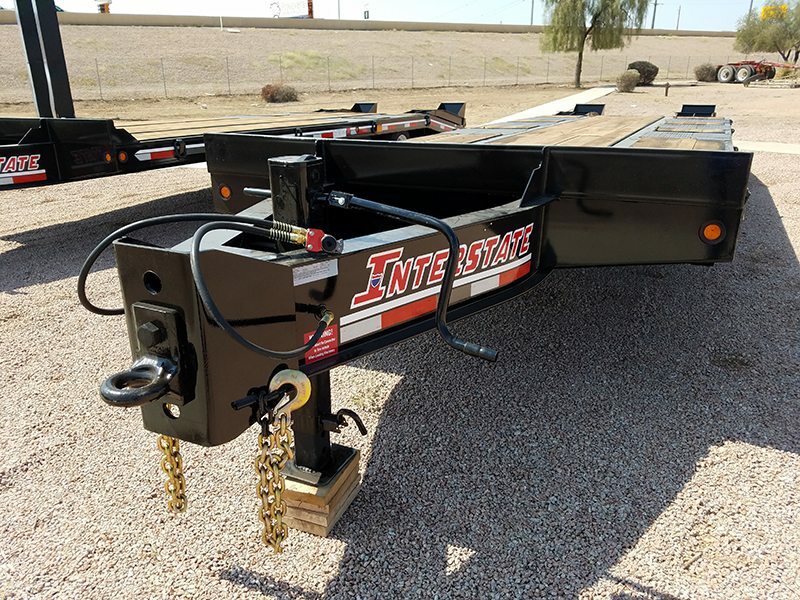 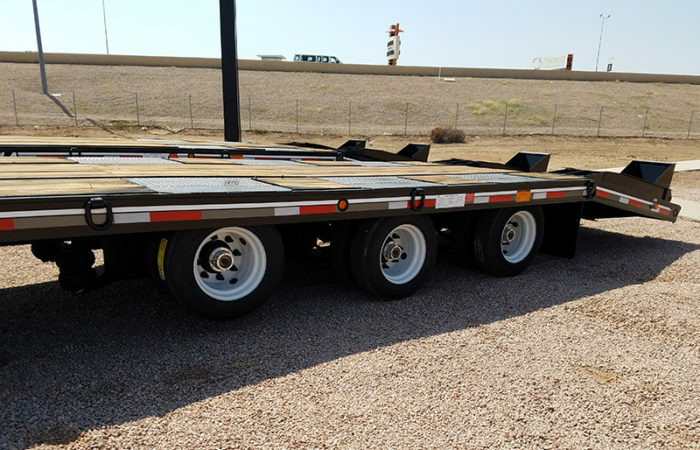 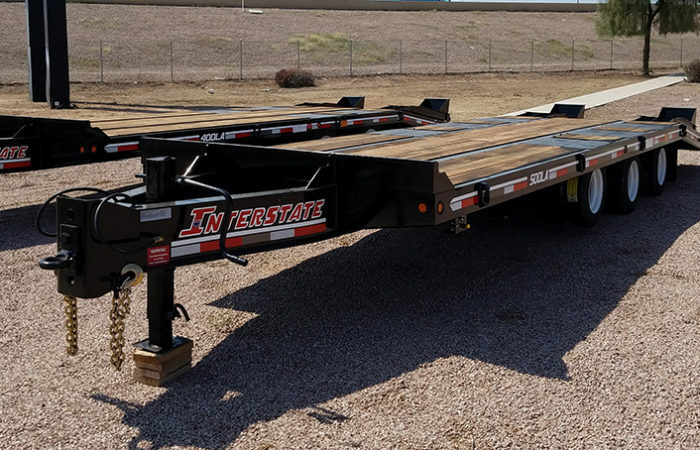 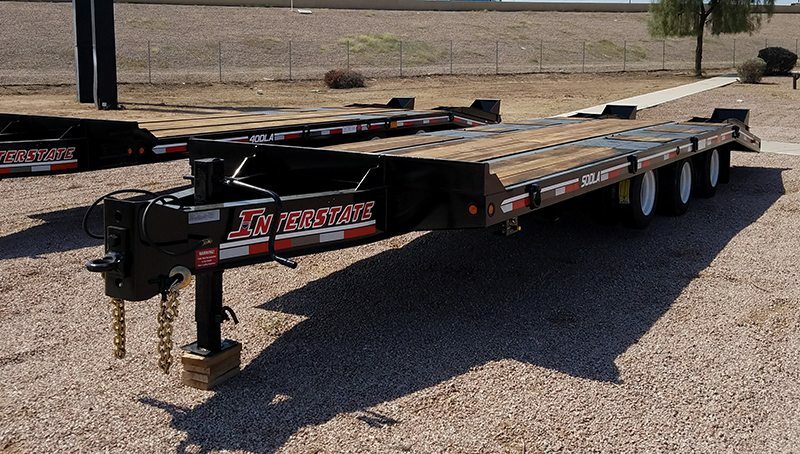 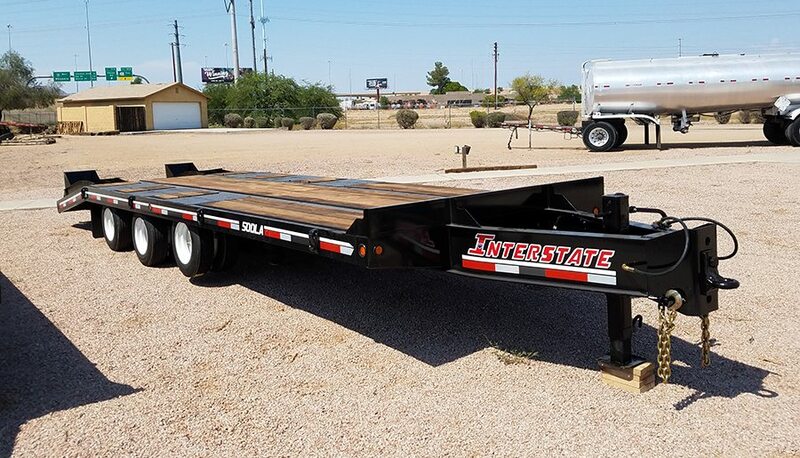 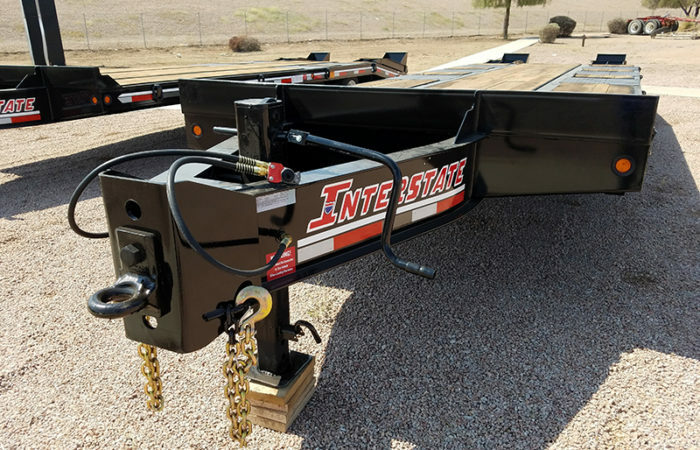 New Interstate 50DLA tag trailer for sale at Midco Sales. 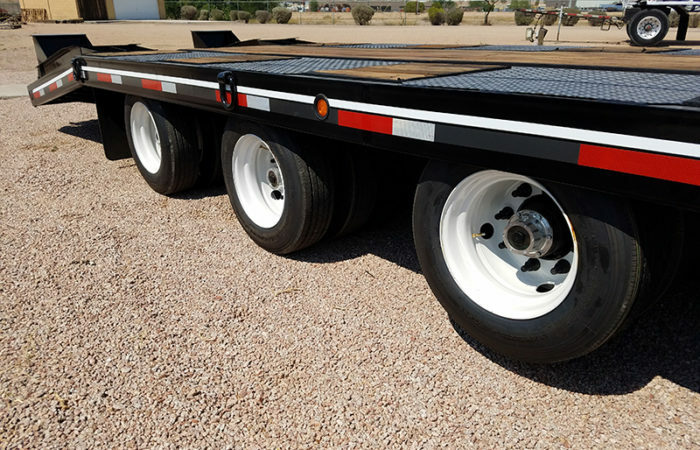 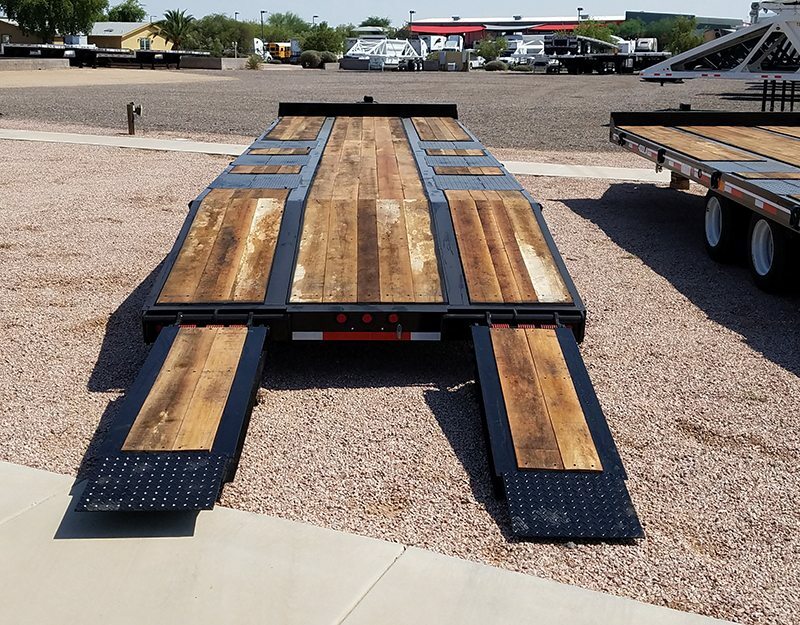 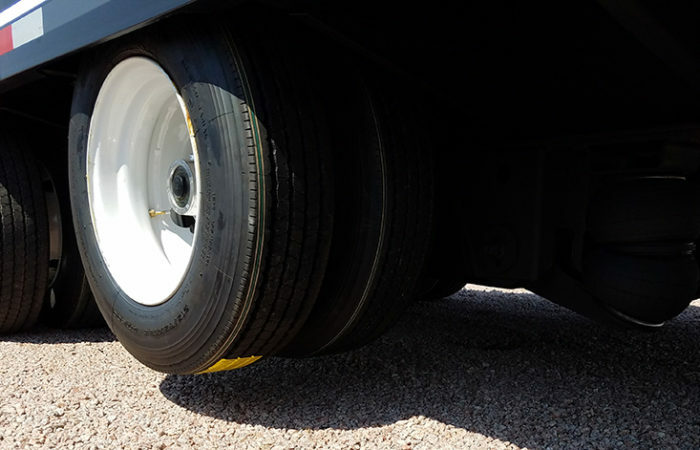 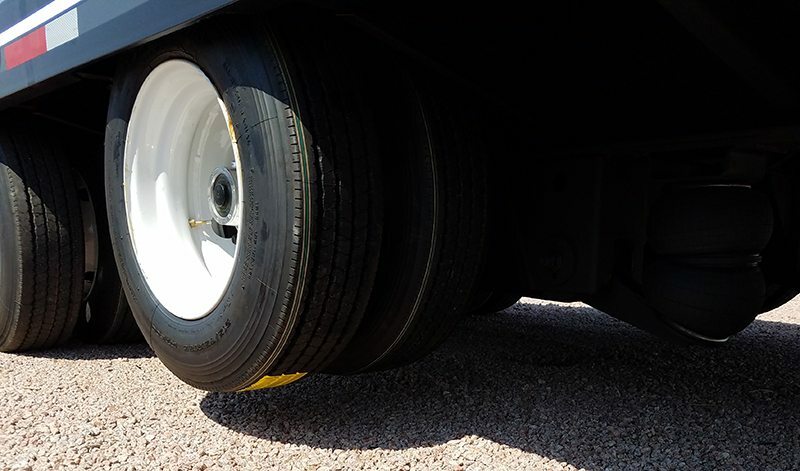 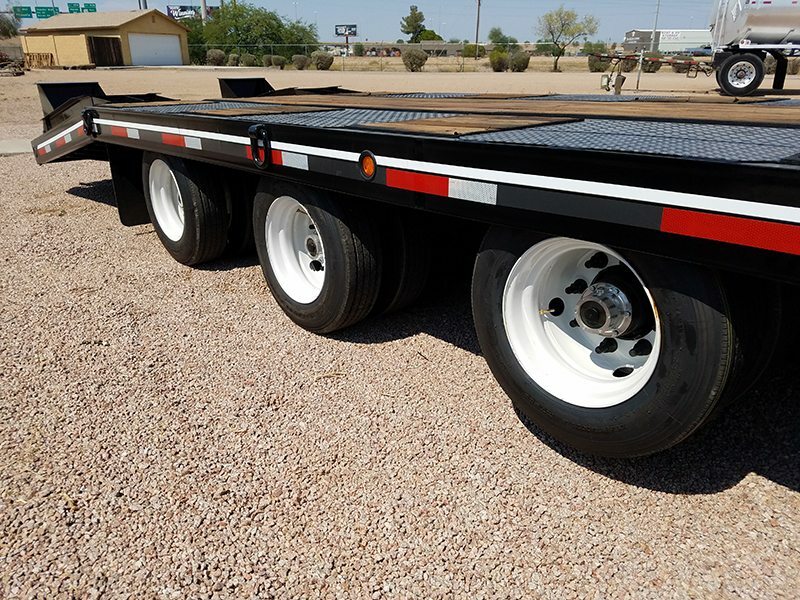 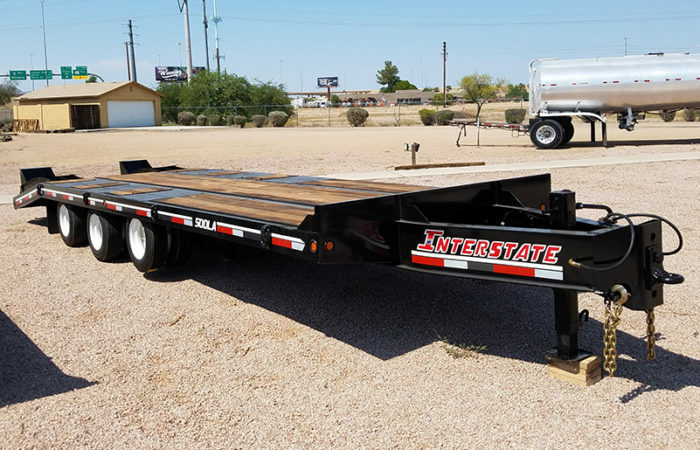 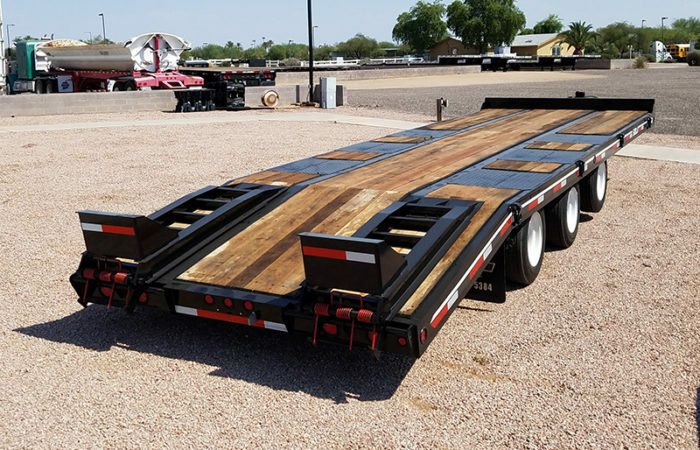 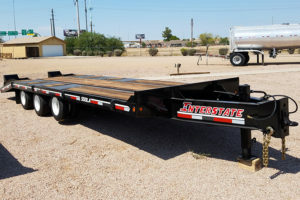 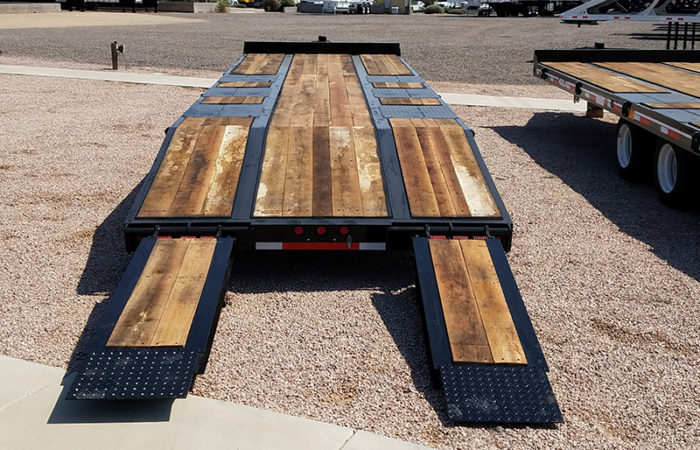 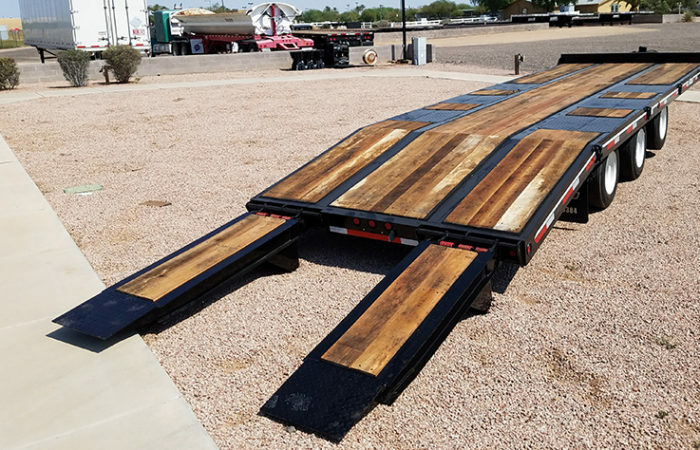 This trailer has a 50,000 pound capacity and features a beavertail and ramps. 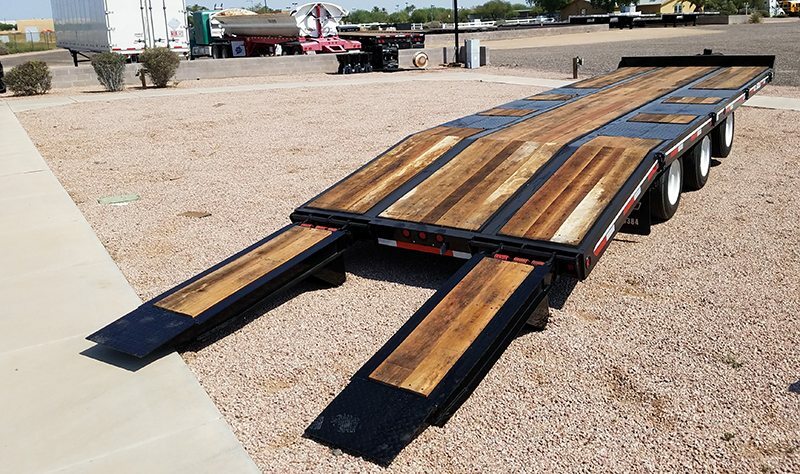 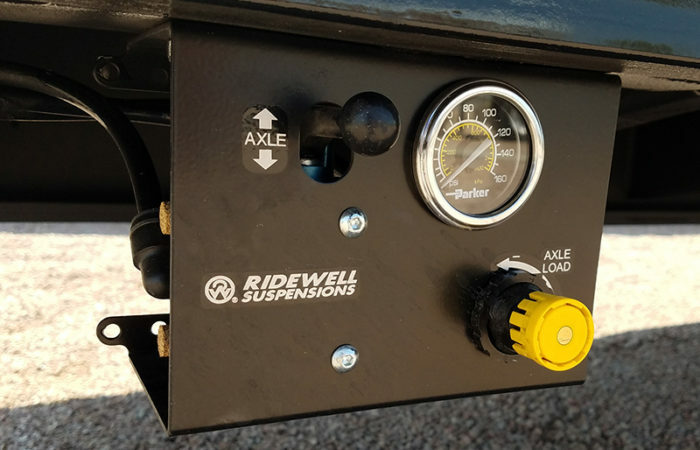 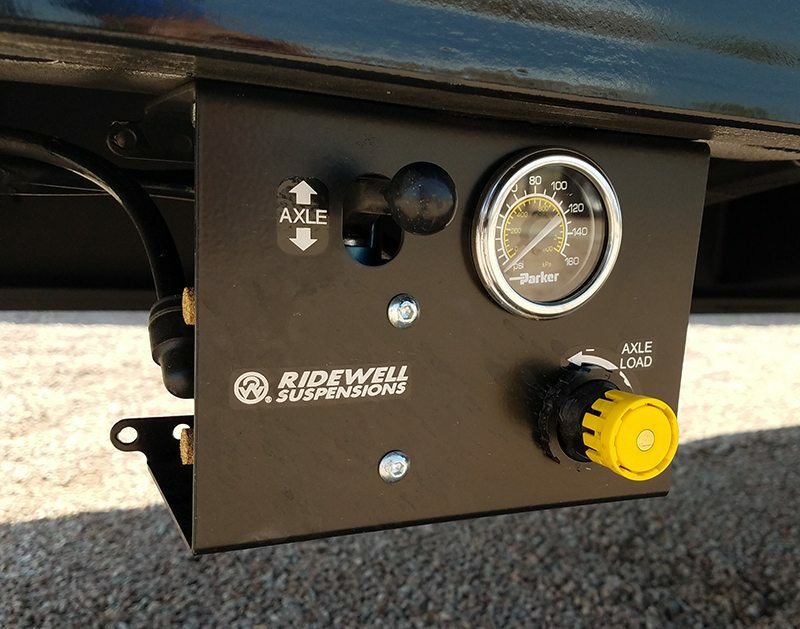 60″ x 22″ wood-filled with spring assist. 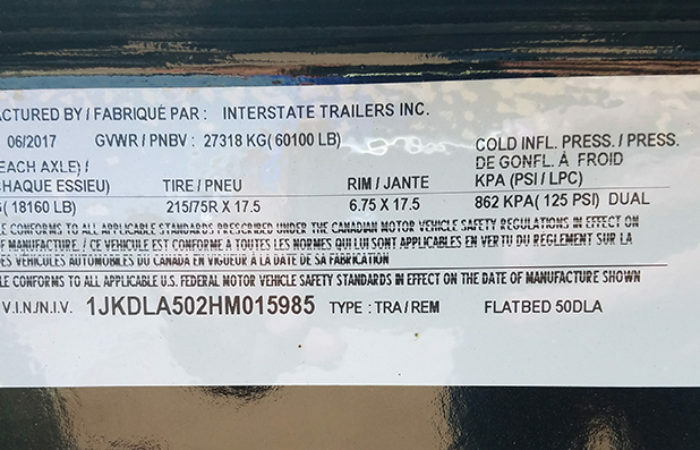 4 position cast steel pintle eye, 1-5/8″ stock, 3″ I.D.